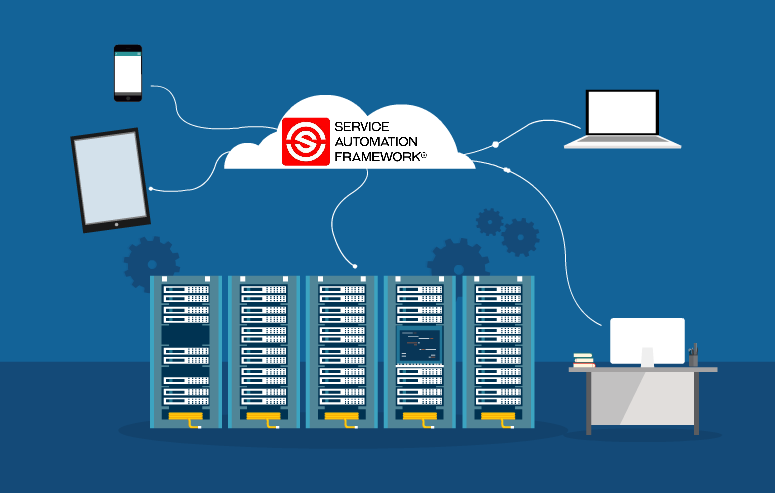 If you are new to the topic to service automation, you might have a very simple question: What is service automation exactly? And why are so many people talking about Service Automation. In this short post, I will try to give you a brief overview of what service automation is, and what all the fuss is about. Service Automation – in its very essence – is the delivery of a service, but than completely automated manner. That means that you, as a user of that service, can decide when you want to use a specific service. It also means that you make all the arrangement to use that service through some sort of app or portal (i.e. a self service solution). If the service is adequately designed, it means that you don’t need to speak to anyone from the service provider. Key examples of companies who became very successful with Service Automation are Uber and Netflix. They took a traditional service (getting from A to B or watching a TV series), and completely automated every step of that service experience. From selection, booking and ordering, to automated payments and automated customer services. The primary interface for their users is a single app, and every other step off their service is completely automated. On the left side of the slide, you will see a ‘traditional’ service provider. And with traditional, I mean 95% procent of the current service providers. Whether it is training company, accountancy firm, hairdresser or data science firm, almost every service provider works based on the exact same principle. A ‘service’ consists of a number of interactions between a user (the persons in grey) and a representative of the service provider. Communication and interaction in any service can be initiated by the user (“can you send me a quotation”) or by the service provider (“please find attached a new invoice”). To stay with the example of transportation (and Uber), think about the steps you take to use a taxi service. You search a suitable taxi company. You making a booking with the taxi company. The driver comes to pick you up. You drive for a while. Finally you pay the bill. A very simple process with five interactions, very similar to what you see in the slide above. If you think about this a little deeper, you will see that every service can be built up exactly the same way. If you want to start delivering automated services, you will need to change your existing service model (on the left) to the service model that you see on the right. This is what service automation is. Nothing more and nothing less. The most important change is that you need to design a new layer between the user and the service provider: a technology interface. Whether this is an app, web-portal or application really does not matter. The most important change is that you provide some kind of technology interface through which Users can start interactions and receive information from a service provider. The technology interface functions as the new layer, through which you can start service automation. As soon as this layer is in place, you can determine for every interaction whether it is possible to automate this action and whether this is beneficial. Keep in mind again that is not necessary to automate every step. It is perfectly fine to keep some manual steps in between (for example the taxi ride). The steps that cannot be automated are depicted by the grey arrows. automate this interaction and start delivering it through the technology interface (the picture on the right). If you follow these simple steps, you can get started with service automation in any organisation. I hope you agree that the basic premises of service automation are not so difficult. However, to really do this consistent and well will require a great deal of effort and dedication. But in the end it is definitely worth it.